Take two photos, add a little paper folding, and give your photos a new dimension. 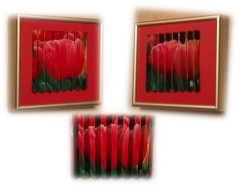 A DoublePhoto can be a unique addition to a scrapbook page. Read more here. You'll need two images. Drag them into the "Left Photo" and "Right Photo" boxes. Select a print size that matches the paper you'll be printing on (or the size of the print you'll order online). 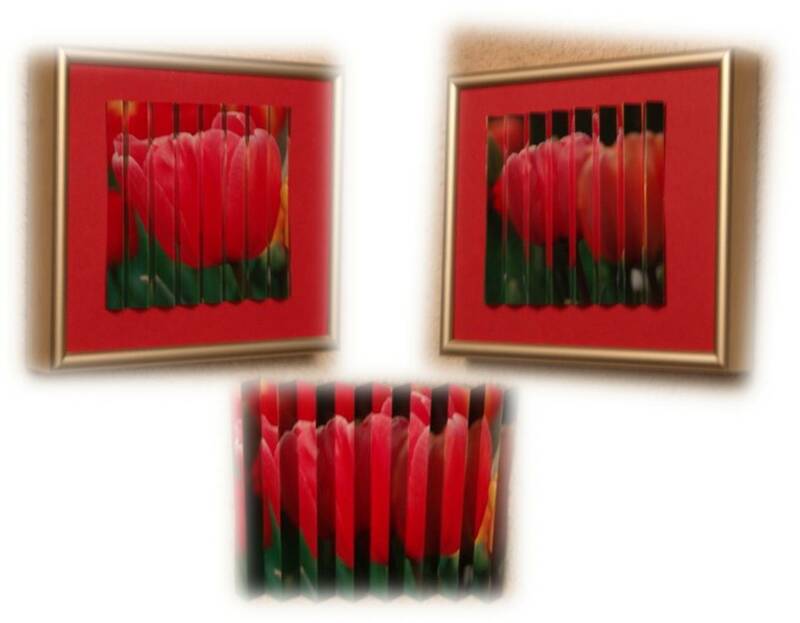 Select a width for the strips - smaller strips produce a smoother transition effect as you view the image but they also mean more folding. As you select a print size the program will default to strips around 10% of the image width. Upload the saved image to your favorite online printing service or send it to your printer (right-click and choose "Print"). Fold the print like an accordion where the strips meet. That's it! Here's an example of what it'll look like when it's all done. DoublePhoto runs on Windows computers from Windows XP to Windows 10. If you have a Mac, you can use software like Parallels or Boot Camp to create a Windows environment, and DoublePhoto will run fine on your Mac.